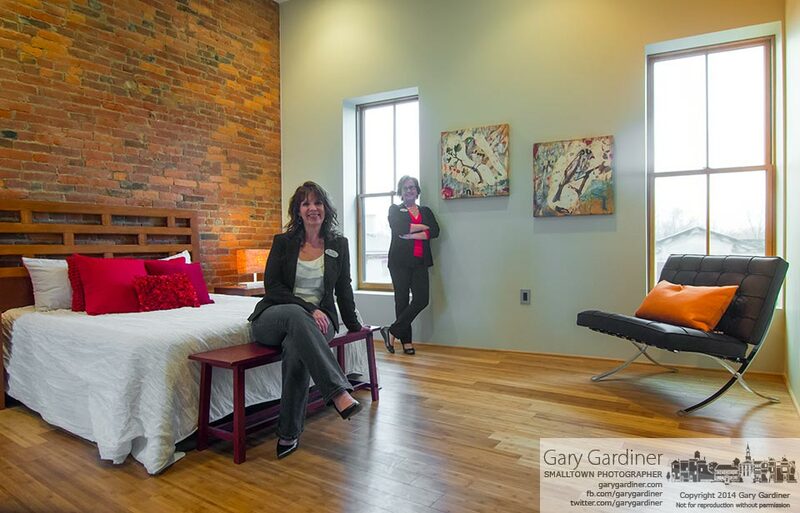 Realtors Cheryl Huston, left, and Amy Clark pose in the master bedroom of Unit 202 at 7 North State St., one of the four condominiums in the renovated building. My Final Photo for March 19, 2014. All the condos use the exterior brick walls. The only sheetrock that covers the brick walla are in the bathroom shower and the kitchen.